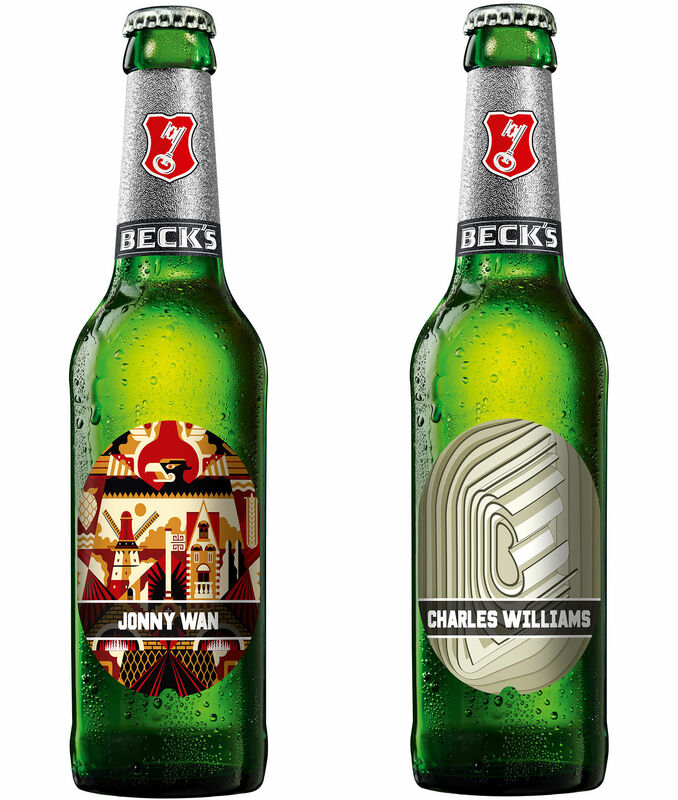 German beer brand Beck's have always had links with design talent, with bespoke labels over the years from the likes of Gilbert and George, Jeff Koons, Damien Hirst and more. 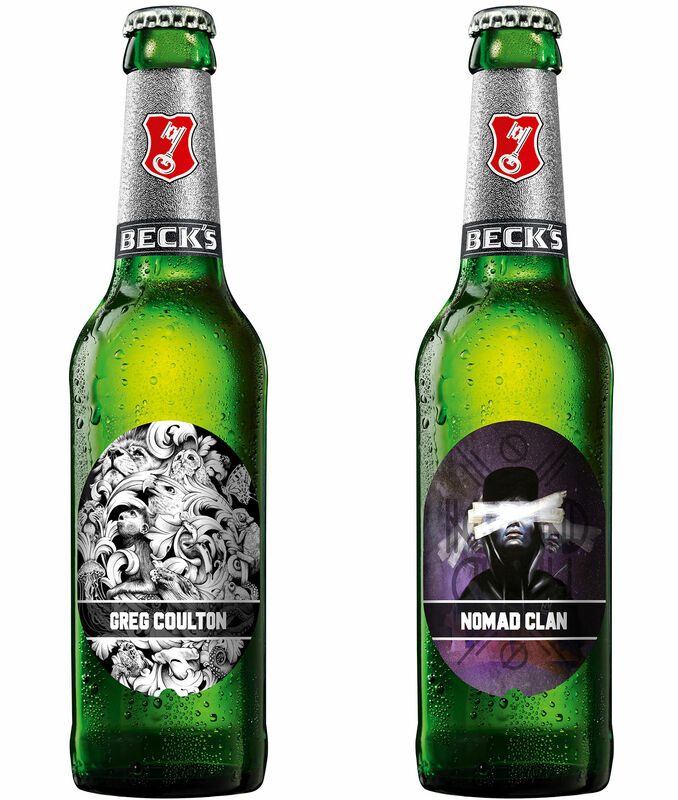 This year they're back at it, commissioning new labels from some of our favourite talent for their Be Kreativ campaign. Six new limited edition labels have been created by the likes of Art + Believe, Jonny Wan, Nomad Clan, Nicolas Dehghani, Charles Williams and Greg Coulton, who we spoke to this year about how spirit makers are gunning for consumers with stylish new labels and branding. Even though supermarket shelves are now full of slick craft beer ﻿and spirit labels, we're still impressed by the quality of these particular designs. Ten million limited-edition labels will be rolled out across UK retailers and select pubs and bars from 8th October until early December. The launch of these six new label designs will also be supported by a partnership with Print Club London, who'll be hosting a launch night for the labels, where each design will be brought to life with live screen-printing demos, giving guests a special screen-printed version of their favourite label to take home. 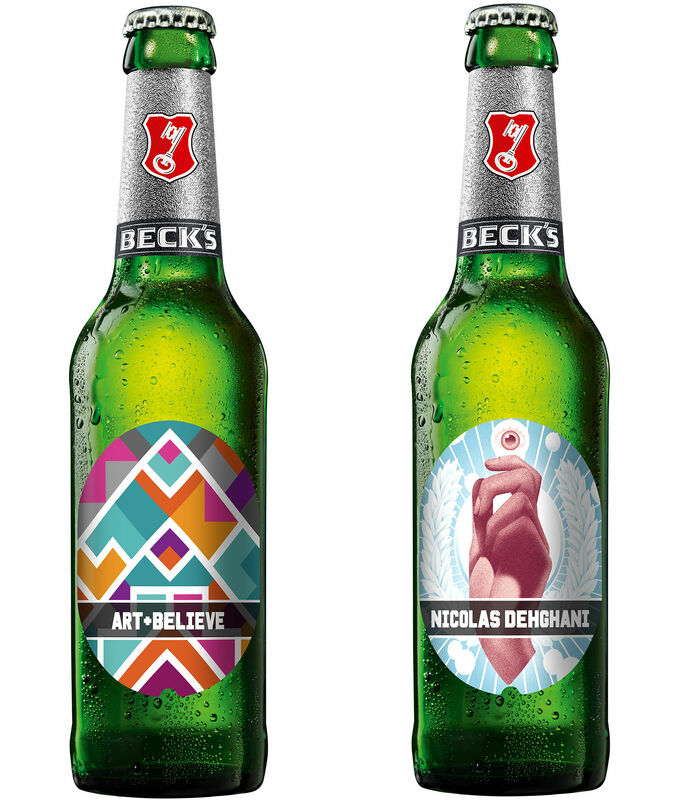 Tatiana Stadukhina, marketing director at Beck's parent company AB InBev UK, commented that the "designs celebrate the variety of styles and artistic skills in the creative world, with each designer putting their own unique spin on the label."